The effects of mine-waste contamination in the Coeur d’Alene Basin have been studied for years. The initial effects were reported by 1900, when farmers in the Lower Coeur d’Alene River reported that their cattle and crops were dying as a result of mine-waste contamination. Similar accusations would be made and disputed for nearly a century following. But in 2000, the Coeur d’Alene Basin Natural Resource Trustees concluded their Report of Injury Assessment and Injury Determination. 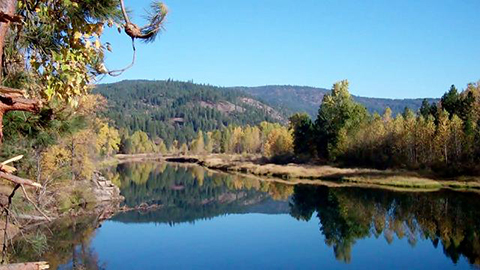 This report was based on scientific data, proving that many natural resources in the Coeur d’Alene Basin were still being harmed by remaining contamination. Data is still being collected by agencies and groups that verify the Trustees’ report. The Restoration Partnership is currently developing an assessment of the entire Coeur d’Alene Basin that will help with the development of the Restoration Plan. This section will give you an overview of the natural resources that have been injured by mine-waste contamination.